In a first-of-a-kind study, Washington State University scientists examined how peoples' self-reported levels of stress, anxiety and depression were affected by smoking different strains and quantities of cannabis at home. It marks one of the first attempts by U.S. scientists to assess how cannabis with varying concentrations of the chemical compounds tetrahydrocannabinol (THC) and cannabidiol (CBD) affect medicinal cannabis users' feelings of wellbeing when smoked outside of a laboratory. 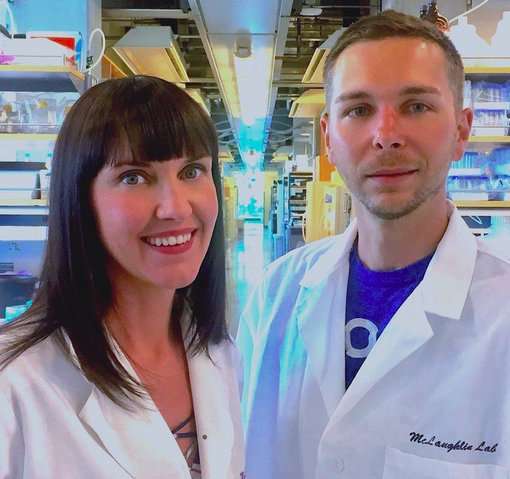 "Existing research on the effects of cannabis on depression, anxiety and stress are very rare and have almost exclusively been done with orally administered THC pills in a laboratory," said Carrie Cuttler, clinical assistant professor of psychology at WSU and lead author of the study. "What is unique about our study is that we looked at actual inhaled cannabis by medical marijuana patients who were using it in the comfort of their own homes as opposed to a laboratory." "A lot of consumers seem to be under the false assumption that more THC is always better," Cuttler said. "Our study shows that CBD is also a very important ingredient in cannabis and may augment some of the positive effects of THC." "This is to my knowledge one of the first scientific studies to provide guidance on the strains and quantities of cannabis people should be seeking out for reducing stress, anxiety and depression," Cuttler said. "Currently, medical and recreational cannabis users rely on the advice of bud tenders whose recommendations are based off of anecdotal not scientific evidence." smoking cannabis can significantly reduce short-term levels of depression, anxiety, and stress but may contribute to worse overall feelings of depression over time. was predictable -- and I'm grateful for them haveing written it. What's funny? That CBD can enhance the high of THC without itself making you high? Because that's what your link and this one say, if you combine the information.